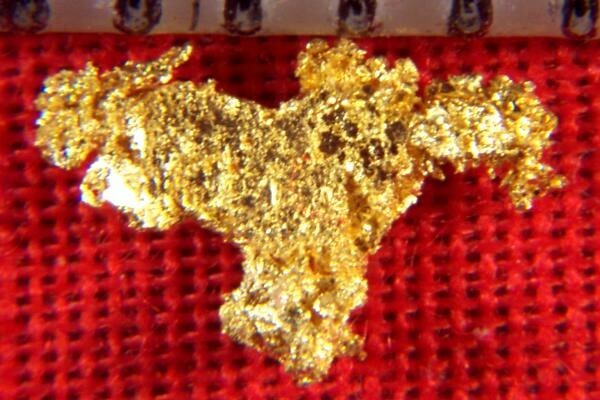 This very small natural crystalline gold nugget specimen comes from Round Mountain. It has a very nice crystalline structure and beautiful color. The size is 1/4" (7 mm) long and it weighs 1.5 Grains (0.10 Gram). 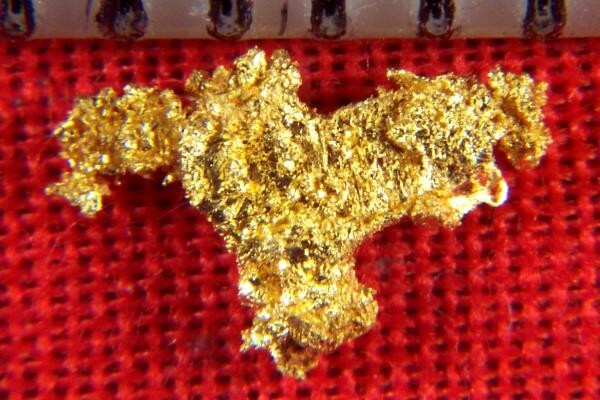 It would make a small and inexpensive but nice addition to your gold nugget collection. It comes with a certificate of authenticity.